Recent widower Jeff Morgan never expected the treasure he would find after receiving a call from an attorney informing him that a fellow soldier from his Vietnam days has died. His old combat buddy willed Morgan a project--a manuscript containing details about a Civil War event. It was the soldier’s dying wish that Morgan complete the manuscript. 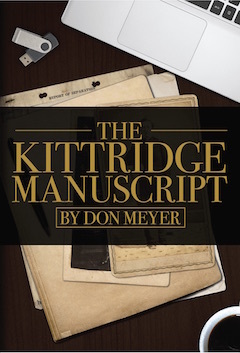 Can Morgan solve the mystery of The Kittridge Manuscript? What he finally discovers could be of far greater value than any Civil War gold.